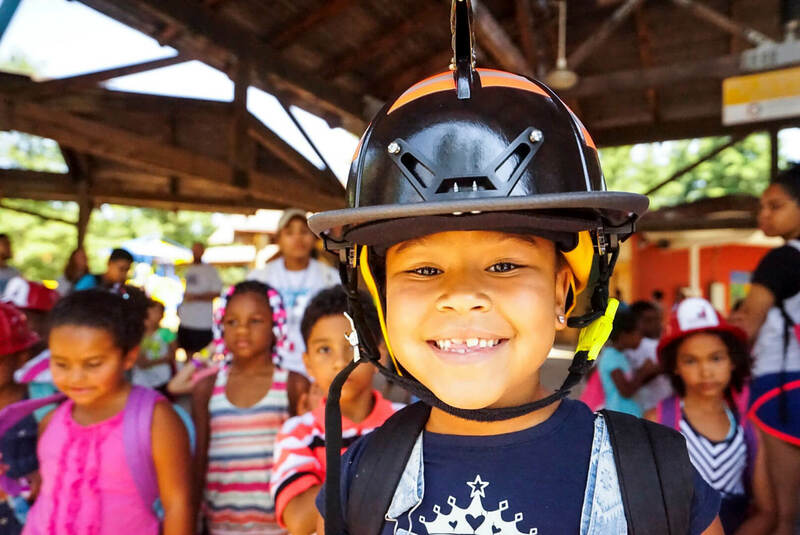 What does a typical day at Hartford’s Camp Courant look like? Camp truly begins when our campers board the bus at one of our twelve bus stops each morning. Along the road from Hartford to Farmington, campers chat with fellow campers, play games and sing their favorite camp songs. When buses arrive on campus, campers enjoy a delicious and nutritious breakfast, and get some free time to enjoy the playground. Shortly after free time, the campers are broken up into units based on their age. Each unit has counselors who remain with them at all times throughout the day, and are assisted by our Bank of America Junior Leaders. 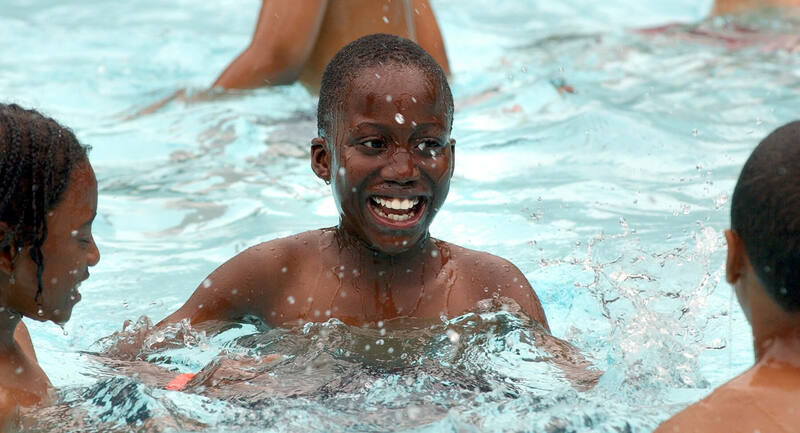 Campers get to enjoy many activities throughout the day, such as Swimming, Arts & Crafts, Yoga and more. Each activity day is not exactly the same, however. 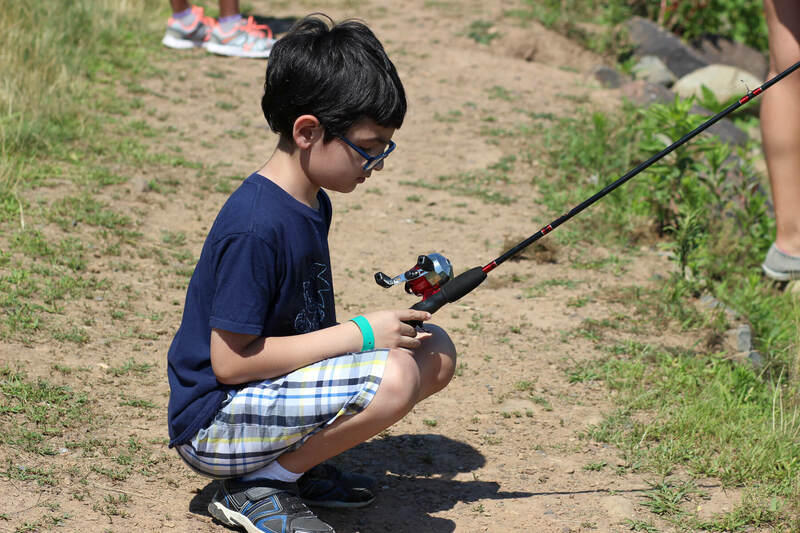 To allow campers to enjoy as many activities as possible, the schedule of activities rotates throughout the week. All campers also get a nutritious lunch and a ‘free time’ break in the middle of the day before boarding the buses and heading home to rest up for another busy day. 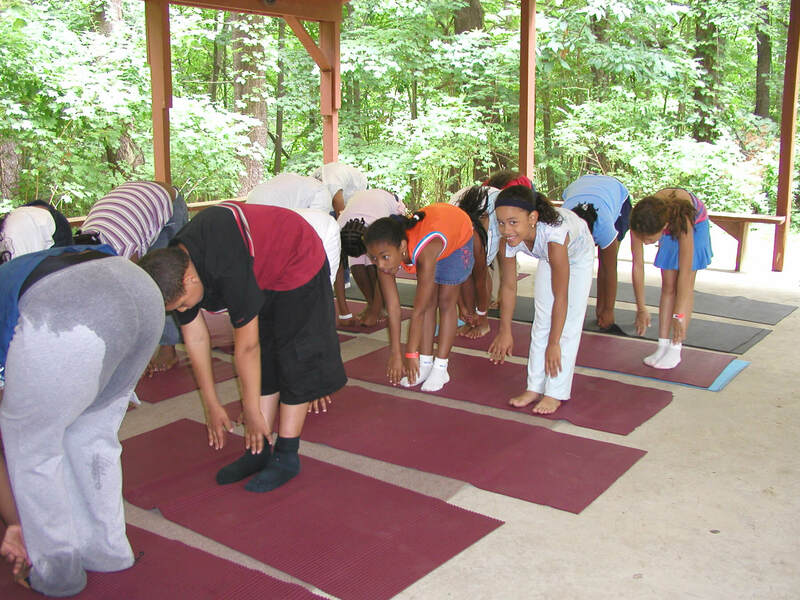 Campers get to enjoy many activities throughout the day, such as Low Ropes, Swimming, Arts & Crafts, Yoga and more.